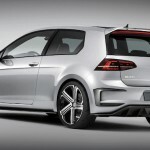 Volkswagen has continued its programme of building ever-faster concept cars based on the Golf GTi hatchback. 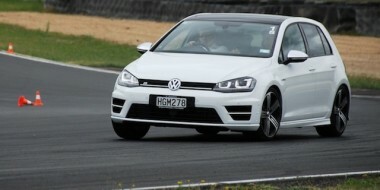 This time it’s the Golf R400, a development of the Golf R which has just gone on sale in New Zealand. The R400 will be unveiled at the annual VW shindig in Worthersee, Austria, where the carmaker lets loose its whacky creations, none of which go into production. 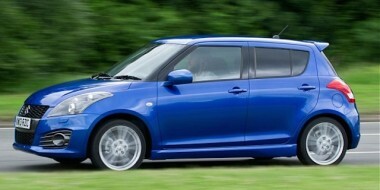 The R400 uses a heavily revised version of the GTi’s four-cylinder 2.0-litre turbocharged TSI engine. 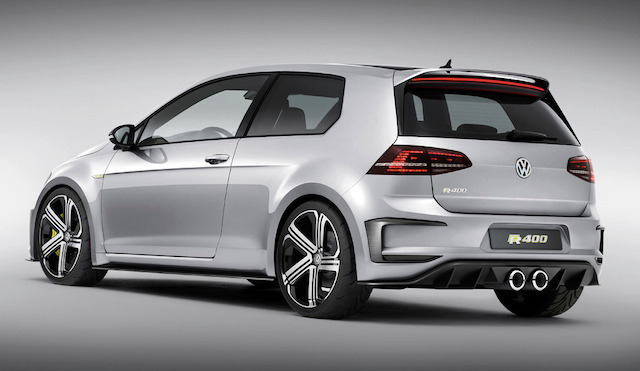 It delivers 220kW/380Nm in the Golf R … but 294kW/450Nm in the R400. Power goes to the ground via a six-speed dual-clutch DSG gearbox and permanent Haldex all-wheel drive system. Whereas the Golf R gets from 0-100km/h in a claimed 4.9 seconds, the R400 gets there in 3.9 seconds. It’s faster, too, topping out at 280km/h. The low-slung concept rides on a new 19-inch alloy wheel design and sits 40mm wider than the standard model. At the front there’s a more prominent bumper design with carbon effect inserts, while a high-gloss black radiator grille with yellow R detailing has also been added. 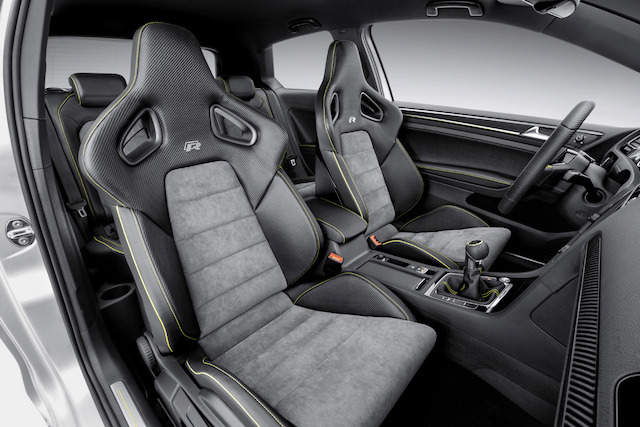 The motorsport theme is continued inside, with Alcantara and carbon and leather bucket seats. The seats, steering wheel, door cards and floor mats are also trimmed in decorative yellow stitching. A glossy carbon fibre finish has been applied to accents on the dash and centre console. 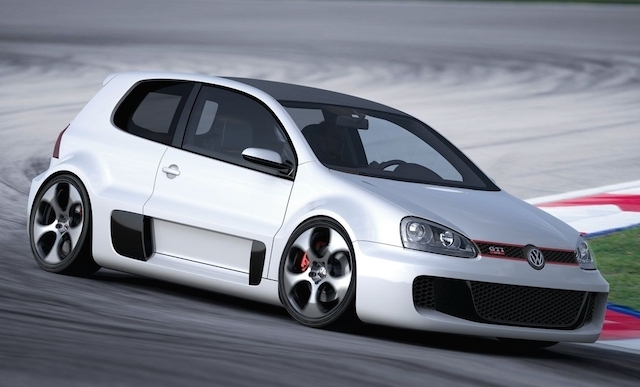 The whackiest of all the Golf-based creations for Worthersee was the GTi W12 650 of 2007. 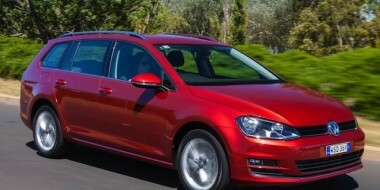 VW removed the standard front-drive powertrain and instead shoe-horned its twin-turbocharged 6.0-litre W12 engine behind the Golf’s front seats to drive the rear wheels. The result was a car that hit 100km/h in 3.7 seconds and continued on to 325km/h, certainly faster overall than the R400 but only two-tenths of a second slower to 100km/h.